A professionally designed and built pool or spa can transform any home into a sanctuary for relaxation or entertaining family and friends. Not only will your pool enhance the value of your property but will ultimately enrich your family’s quality of living. Is your pool looking a little tired and needs to be brought up to todays standard’s? Sometimes a water line tile replacement and new lining could be the answer and you can be back swimming in no time at all. Building swimming pools is something we are very passionate about which shows in the quality and standard of our work. We have an exceptional approach to detail and understand what is required which can only come with experience and the right people. Peter the Owner and Director will take the time to discuss your ideas and come up with the right pool to create your own private oasis for you and your family to enjoy. At Coastside Pools we pride ourselves with being on trend with the latest designs and technology and would love to show you the way we do things. When we first got in touch with Coastside Pools, Peter’s knowledge and friendly nature meant we felt at ease from the start. The whole process from design to completion was seamless thanks to Peter and the team. We’re so happy with the end result – our friends and family keep commenting on how amazing the pool looks. Thanks guys, can’t wait for summer. 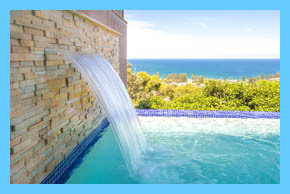 We are a pool builder based on Northern beaches, Sydney. 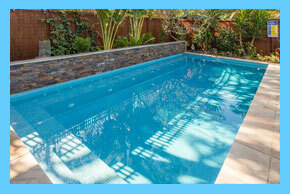 At Coastside Pools we work to a very high quality finish and adhere to all the relevant Australian standards. We thoroughly enjoy building swimming pools. To build the best quality pool for our customers and knowing they are extremely happy with the end result and in appreciation will refer us to family and friends. There is just no better way to do business.